I dunno if this was a topic already, I think it may have been but I couldn't find it. I got an Eisley tatoo today. I love it! Aaah, that's amazing! 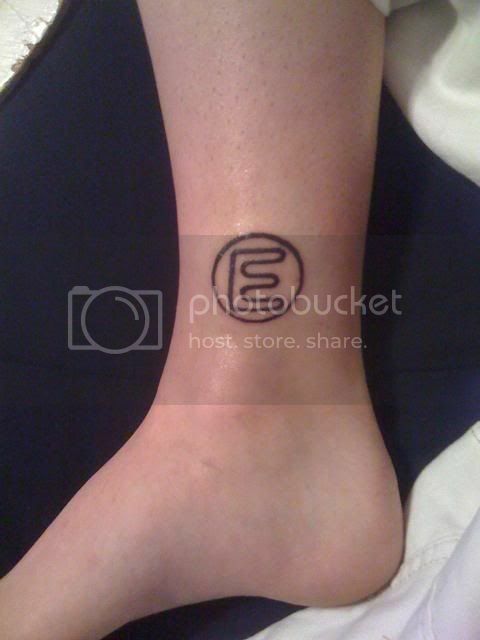 If I wanted a tattoo, that's totally what I'd get. But tattoos aren't really my style... I'm sure I'd get sick of seeing the same thing on my skin every day. Plus, my parents would burn me a the stake. But yours is wickedly awesome... I'm sure the band is honored. haha thanks. Yeah a few people have been asking me "what happens when you don't like them anymore" and I simply say " I'll never not like eisley, they are to perfect" I turned 18 and so my parents let me have it otherwise they woulda killed me. yeah I love it. I know, they forgot the little dot and i didnt realize it till later. I am gonna go back later or something, its not to big a deal though. Now you owe Boyd $500 royalties every time you flash some ankle. Better invest in socks. Only joking - nice choice. 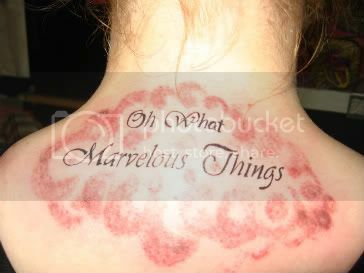 THAT MARVELOUS THINGS TATOO IS BEAUTIFUL!! I'm so happy and proud of mine. I'm going to eventually go back and have Eisley written under it cause that would have cost way more than I had and the only way my parents would let me get it is if I paid for it so I had to cut it back a little. I planned on getting the same tattoo!